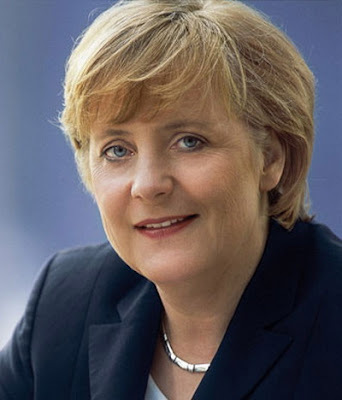 BERLIN, Germany -- German Chancellor Angela Merkel on Thursday spoke with Ukrainian President Viktor Yanukovych to discuss an independent journalist gone missing for almost two months. Vasily Klimentiev, editor of a web site critical of local government in the eastern city Kharkiv, was last seen leaving his his house on August 11. Merkel urged for early resolution of a criminal investigation into Klementiev's disappearance, according to a German government statement. The German leader also was said to have emphasised to Yanukovych her support of a clear separation of powers in government - a reference to a recent Ukrainian supreme court ruling dramatically increasing the power of Yanukovych's office, at the expense of the legislative branch. Yanukovych, a pro-Russia politician linked with big business, has declared the investigation into Klimentiev's disappearance a top priority for his government, and said he has no intention of using the recently-increased authority of the Ukrainian presidency to turn the former Soviet republic into an authoritarian state. Yanukovych's critics, led by former prime minister Yulia Tymoshenko, have accused Yanukovych of intending to undermine a free an open media, and democratic government in Ukraine. Yanukovych has repeatedly denied the allegations.